The property preservation business can be a rewarding career that pays well if you take an appropriate path. Options include working for asset management companies or running a firm that contracts with HUD, lenders, realtors or investors. Here are details on how to become a property preservation vendor. You must first research your market to find out the demand level among real estate industry players for cleaning, transforming and maintaining properties in foreclosure. Lenders and investors outsource to experienced firms that specialize in fixing up properties for sale or rent. Firms that outsource may already have in-house property preservation personnel. Industry guidelines are set by government agencies HUD, the Federal Housing Administration (FHA) and Veteran's Administration (VA). While investors may be interested in purchasing foreclosures for rentals, banks prefer selling rather than managing properties. Some lenders employ their own property preservation managers, while many outsource to experts for repair work involving floors, walls, roofs, kitchen, plumbing and a variety of other specialties. The beauty of launching a business in the 21st century is that it's much easier and quicker to learn a vast amount of information about market opportunities, thanks to the internet and other digital resources. It's easy, for example, to gauge the demand for foreclosures for any city by accessing national and local data from a variety of real estate websites. Collect data on the number of foreclosures in your market vs. the number of foreclosures that are available to purchase. Then find out which companies lead the market to analyze the competitive landscape. Seek certification by taking courses or programs with learning institutions. 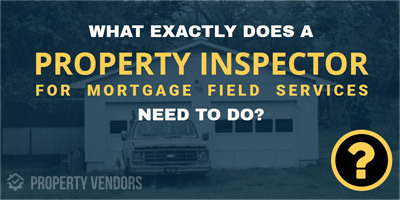 For property inspections, you can start with this free field inspection course. For a more comprehensive property preservation course, you can try the NAMFS Academy. Then develop a website that showcases your skills and experience. The more you can provide search engines with evidence that you are a thought leader in your industry, the better chance your site will get high search rankings. 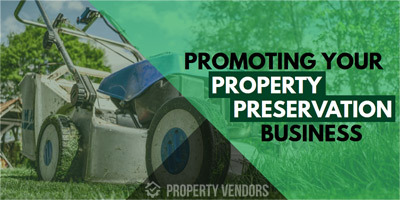 One of the secrets on how to become a property preservation vendor with a successful website is to specialize in services that give you a competitive advantage. If you are new in the business, you should also use our specialized directory of property preservation companies to help you with visibility. 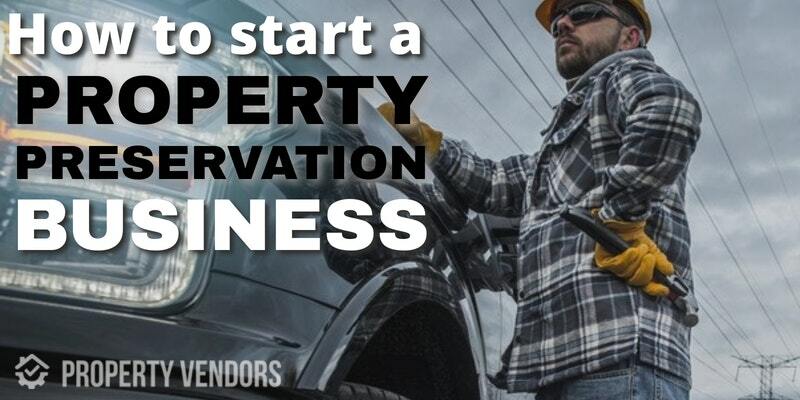 But what&apos;s the step by step process to creating a property preservation business? 1. Check the state and local license requirements in your area. Not all states require licenses. Property preservation in itself doesn&apos;t require a license, but the jobs you do might: general contractor licenses, plumbing licenses, roofing licenses, electrical licenses, etc. Some counties/cities will require local licenses as well (i.e. a local contractor license as opposed to a general contractor license). Some states require things like mold certifications. So do a little research as your very first step before actually deciding to jump into the industry. 2. Check out the competition. There are a lot of preservation companies around, and you don&apos;t want to be covering an area where there are 500 contractors who just get a handful of work orders a month. Assess whether there is a competitive opportunity for you in your area. Pro tip: you can get job alerts from your area by signing up to our preservation vendor directory. Most preservation businesses who are just starting out won&apos;t go directly to a "national", due to the large amounts of paperwork and the required investment to actually execute jobs that might be out of their league. So to begin with, you might want to look at who the regional preservation companies are, or maybe even smaller, family-run / mom-and-pop property preservation businesses and see if there are any positions open with them. 4. Go through the hiring interviews. There will likely be an interview process that you must go through before you actually sign a contract. Hiring companies will require that you hold certain types of insurance (including work compensation insurance if you have any employees or people helping you part-time) and apply for certain licenses, but most of them won&apos;t require these things before interviewing you, so you don&apos;t necessarily need to purchase anything before the interviews. 5. Apply for all relevant licenses, insurance types and certifications. Review what you learned in step 1; at this point you&apos;ll need to actually apply for these! How much will this cost? 6. Purchase some property preservation supplies. Especially PPE (personal protective equipment). As a property preservation specialist you&apos;ll be exposed to abandoned properties, run down houses, hazardous trash, and you need to take care of your team. Even simple things like mowing the lawn can be -to an extent- dangerous, and you need to be covered. Your insurance company will certainly appreciate it, let alone people who are working with you. This is an important point, and ignoring it might expose you to legal liability. The good news is that many hiring companies, especially larger regional, state-wide or national preservation companies have very standardized training programs and detailed onboarding processes for vendors where you&apos;ll be taught how to proceed with different field services and what&apos;s expected from you. Most of them use their own software or computer systems where they manage work orders and you&apos;ll be required to submit proof of your work through these. So training also entails getting to know and operate these systems. Wait, but what if I have no experience in the property preservation industry? If you have zero experience, starting your business right away might not be a good idea. Your main priority is to develop some experience. See first-hand how things are done. 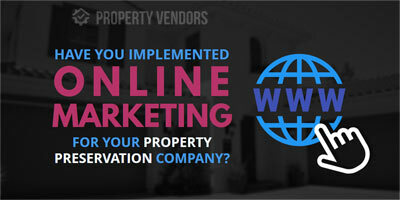 Start out by googling your local property preservation companies. Do a search and investigate what type of companies are already established in your area. Your goal should be to work for a company that has boots on the ground; a crew who actually goes out to do property preservation. This means avoiding -at first, at least- big regional or national property preservation companies who simple outsource or sub-contract the work. Ask about employment opportunities. If they&apos;re not hiring right now, why not offer to volunteer for a while? Maybe a couple of weeks? Again, if you have no experience, the goal is to gain some no matter what. Let them know that. You need to sell yourself. You need experience so that you can then go out there and work for yourself. In that case, mentioning you have your own transportation, and letting them know they wouldn&apos;t need to pay for anything might help you stand out. And then it&apos;s just a matter of learning as much as you can. When you&apos;re onsite, ask questions. Learn the language, the methodology, the specifics of executing property preservation work orders. In summary, if you lack experience, start locally. Use PropertyVendors.com, Use Google. Find small companies in your area and look at their job opportunities. If there are none, ask to volunteer of anything they might need help with. You don't need a formal education beyond a high school diploma to become a contractor that fixes and maintains properties.It does require quite a bit of research and reaching out to people in the business and to property preservation companies that are actively hiring vendors. We can hopefully help you get your business off the ground by finding local vendors and job opportunities.